As a Democrat running for President of the United States, Julian Castro is entering a very crowded field of challengers vying for the party nomination. Still, the current Secretary of Housing and Urban Development and former Mayor of San Antonio points to his experience as an advantage over his challengers. "I have a track record of getting things done," Castro said. Castro entered the race early and has been traveling the country since campaigning. 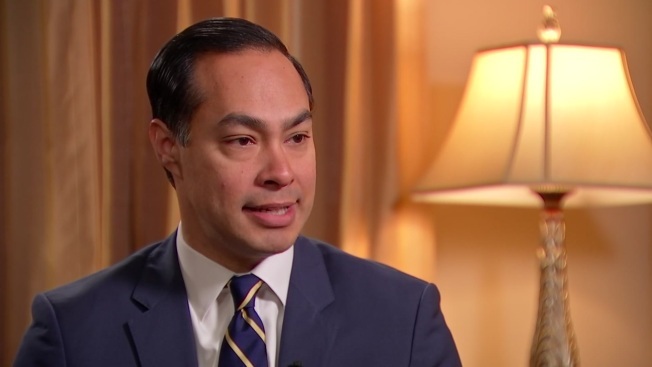 Keeping up with events in Washington, Castro said he believes the Mueller report should be made public. "The American people deserve to see what is in that report. And the truth is, unfortunately, that this administration has fudged the truth or outright lied or made exaggerations so many times that why would we believe them on this most blockbuster report about the president," Castro said, adding that Americans need to see more than a four-page summary to know what's inside. Despite having name recognition, Castro is not seeing big polling numbers. The latest Quinnipiac poll has Castro at 1 percent. "I know as we sit here right now I am not the front runner in this race. But that does not bother me. I was not born a front runner. I didn't grow up a front runner. I know there are a lot of Americans out there they don't feel like a front runner right now, and so I am going to do what people do across the country do. I am going to go out there and work hard," he added. Castro, who said he planned to visit all 50 states during his campaign, said he believes his message is resonating and that his goal isn’t to be the front runner today, but to be the front runner in the spring of 2020. We also talked with Castro about the Affordable Care Act and immigration. The entire interview can be seen Sunday at 8:30 a.m. on NBC 5's Lone Star Politics.